We partner with school districts nationwide to implement effective district-wide strategies to drive personalized learning. 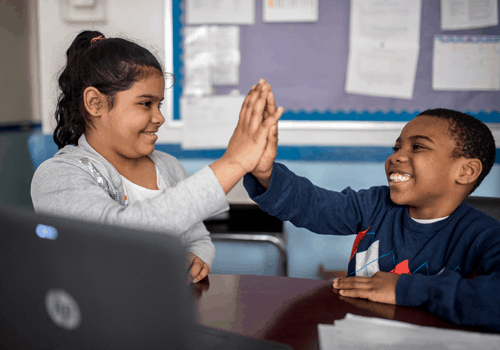 We flexibly adapt to districts’ existing strategies and initiatives and help them make the most of their technology, curriculum, and professional development investments. 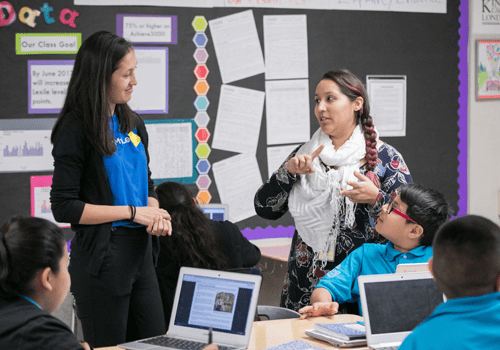 Our unique offerings are designed to build capacity of the district’s instructional coaches, family engagement staff, and other district and school leaders. With district input, our expert staff lead workshops, instructional coaching, and collaborative learning communities. Guiding our work with districts is our PowerMyLearning Triangle, which shows the key roles that teachers and families play in supporting students in achieving mastery and ownership. Districts can also take advantage of PowerMyLearning Connect, a collaborative platform that propels personalized learning by enabling K-12 educators to discover, adapt, and share quality content, engage families as learning partners, and accelerate their own professional growth.